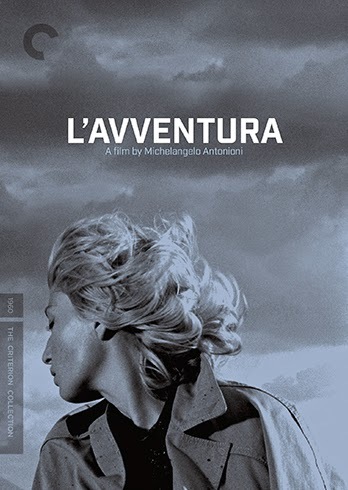 For me, I think what is most compelling about Michelangelo Antonioni’s challenging 1960 drama L’Avventura is how it so effectively upends the mystery genre to serve the director’s own thematic purpose. 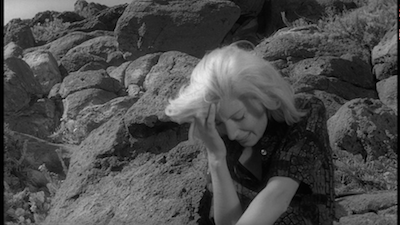 More than fifty years before Gone Girl, Antonioni crafted an oblique narrative about a young woman bored to death with her future husband and the state of love in general who in some manner orchestrates her own disappearance. Anna (Lea Massari) is a rich man’s daughter, engaged to Sandro (Gabriele Ferzetti), and yet disconnected from her own privileged existence. She tells her father she has no intention of marrying the man, but then makes her friend Claudia (Monica Vitti) wait outside while she has an afternoon quickie with him. The three of them then join other friends on an overnight boat trip to remote waters. While swimming, Anna lies about seeing a shark, presumably to see how everyone will react. She only confides this secret to Claudia. Thus, the other girl is understandably suspicious when Anna goes missing later that day. The travelers have docked at a desolate island. There is no one else on it with them, only an empty shack, and no other way off. Yet, when it’s time to go, Anna has disappeared without a trace. Someone thought maybe they heard another boat, but there is no real proof. And so L’Avventura becomes a manhunt--at least, after a fashion. The police come to investigate, accusations are thrown, with the fiancé being the first suspect. Sandro and Claudia lead the charge--though separately whenever possible, Claudia does not trust him--and they remain the most dedicated, following whatever leads come up, pursuing a trail that may not be there. It’s along this search that they also derail their own efforts. Sandro kisses Claudia, she rebukes him...and yet, she is drawn to him. Eventually, their attraction takes over. The investigation becomes a romantic getaway. By the time the pair rejoin their other friends--who, bored and unaffected, have carried on with their perpetual holiday--they are behaving as a married couple, alternately bickering and being affectionate. Claudia hates herself just a little; Sandro, as ever, is nonplussed. But ain’t that just like a man? 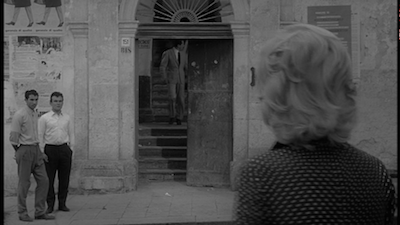 At least in the way Antonioni depicts Italian society. The men are driven by lust, emerging in the streets as one predatory pack whenever a woman is left to walk unescorted. It happens first with the young American of questionable morals (Dorothy De Poliolo)--who herself claims to be lost and could be seen as a double for Anna--and then when Claudia decides to wait outside when Sandro goes into a shop where Anna had possibly been seen. 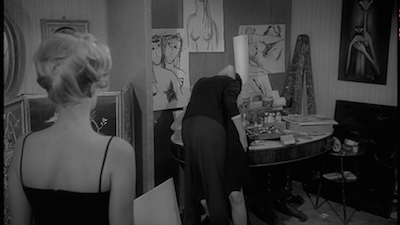 It’s a reversal of the earlier scene, when Antonioni and cameraman Aldo Scavarda artfully framed Claudia through the crack in the curtains in the room where Sandro and Anna are having their tryst, the audience peering out at the girl peering in, as if perhaps she desires to be up there with them. 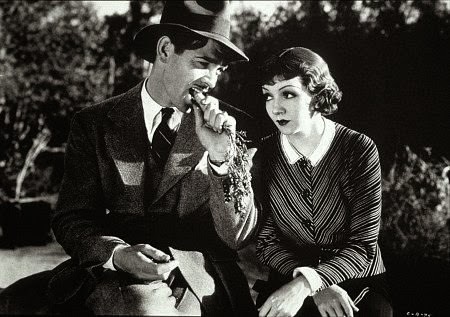 She is isolated in both scenes, but in the later instance, she becomes the object of sexual craving rather than rebuked. And its Sandro who is now outside observing, witnessing the threat from inside a doorway. Of course, it’s significant that this is immediately after the two of them have made love; the wild animals sense the change. It’s a split that runs through all the couples in L’Avventura. Anna is not the only one who finds the male/female relationship wanting. 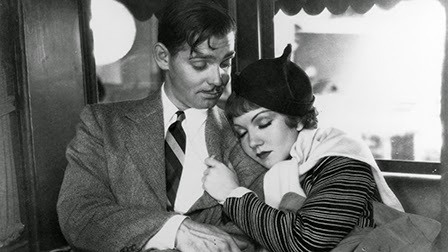 (It’s telling that she is reading both F. Scott Fitzgerald’s Tender Is the Night , a novel about adultery and the disappointment of marriage, alongside the Bible when she disappears; it’s one of God’s few appearances in the movie, faith is as absent as true love.) The wealthy older woman Patrizia (Esmeralda Ruspoli) tells her would-be paramour Raimondo (Lelio Luttazzi) that she was not made for love, and she rebuffs and belittles his advances. He, in turn, proves he can’t handle delicate things, dropping the antique crockery found on the island, a symbol of a lost civilization that the bored socialites argue over. Who owns it? How would you use it? Even knowing where it comes from makes you the object of ridicule. Why be smart or concerned about things long since dead? Maybe this is why the woman who is made fun of for allegedly wanting to take the pot and put flowers in it is the one to truly transgress. Giulia (Dominique Blanchar) at first seems like the sweetest of the crew, but when Claudia rejoins her friends, she finds Giulia carrying on with a young painter. She is defiant about it, challenging others to judge her, even rubbing it in her husband’s face. The sweet has been made to run sour. There are no happy endings in love stories, only prison sentences. Which is why Anna gets out before she is locked in. Ironically, by doing so, she dooms her best friend to that same fate. Claudia and Sandro are bound together more by their shared concern over Anna’s vanishing then they are any true affection. 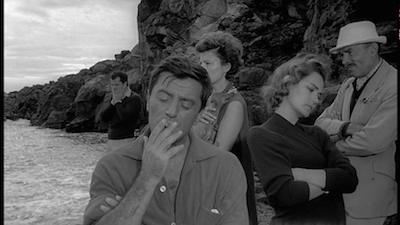 The final images of L’Avventura show them unable to separate, subject to their roles (he the philanderer, she the long-suffering devotee), and filled with despair. By all evidence, there is nothing else out there for them because nothing is all that modern man truly has. It’s been several years since I last saw L’Avventura. 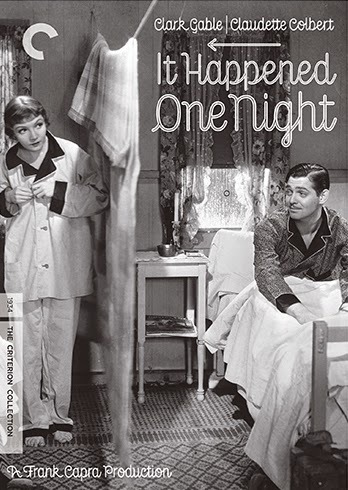 I wrote about it the last time, too, in connection with a showing of The Big Sleep to promote my comic book You Have Killed Me. It’s funny how much more obtuse the movie becomes with distance. (Perhaps I am remembering L’eclisse more?) Watching it again, I was struck by how much of a standard mystery the movie really is. 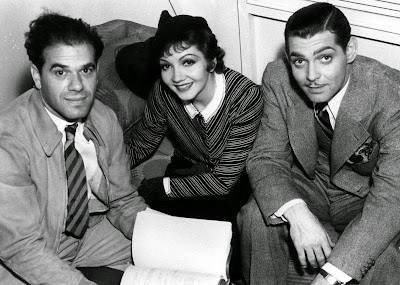 Except for the missing woman, there are no strange goings on, no tricky editing or confounding digressions. Sandro and Claudia follow a pretty strict path, going from one clue to the next, the narrative adopting somewhat of an episodic structure. This makes it no less intriguing, though; on the contrary, the simplicity only heightens the tension, leaving wider spaces for the viewer to ruminate on Antonioni’s existential commentary, which he doles out sparingly. Each incident is almost like a prompt, a short philosophical riddle for the monastic cinephile to meditate on. 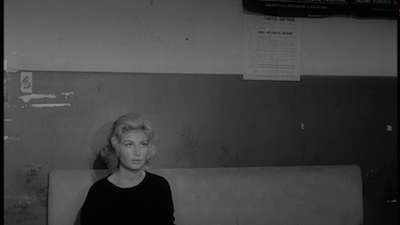 Monica Vitti proves a marvelous vessel for delivering these messages. She appears innocent and empathetic, truly curious and caring, defying her glamorous image, more like the blonde girl next door to Lea Massari’s more calculating woman of the world. It fits noir conventions, they are analogues to Rhonda Fleming and Jane Greer in Out Of The Past , though they are sadly stuck without a reliable Robert Mitchum. Gabriele Ferzetti makes for interesting casting. He appears too old for both of them and physically unremarkable. Not exactly handsome, you wouldn’t notice him without a spotlight. Not the way you would Marcello Mastroianni or Alain Delon, the stars of Antonioni’s next two movies, which form a thematic trilogy (and which I will be revisiting next). This might be over rationalizing, but it’s possible that my seeing L’Avventura more clearly has as much to do with the new restoration as it does time. The 4K digital upgrade used for this new Blu-ray presents the film in a way that far surpasses any prior release (my screengrabs, for the record, are from Criterion’s 2001 DVD). 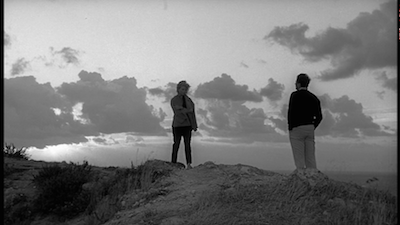 The clarity with which one can now view the black-and-white landscapes of Antonioni’s movie is quite something. The desolation felt when stranded out at sea, or how small Vitti and Ferzetti appear in the final moments, is illustrated not just by the widescreen framing, but also the depth of detail that is now evident in high definition. That ocean goes on for miles, and the cliffs and balconies give way to a bottomless view. By contrast, the interiors are confining, whether the hull of a boat or a hotel room. 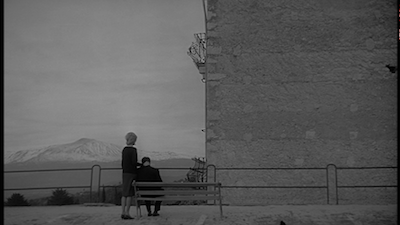 Antonioni’s sad figures are at once trapped by their surroundings and humbled by just how insignificant they appear within them. As an audience, we are left to feel the same way. I can’t imagine the added effect of seeing it in a theater, of the images writ large. The vastness of Antonioni’s vision would blanket the auditorium. L’Avventura is a haunting motion picture, teasing out answerless riddles while making us feel all the more lost for the fact that the lack of any solution is somehow a fault of who we are.